Dripping taps can be costly if not fixed soon. Why? Well, because you are spending money on a high water bill but that’s not just all. It chews at our natures most valuable resource. And other leaking issues across the Tap and its handles. Generally, most homes built in Australia have one of the following types of taps which over time will need to be changed or repaired. Jumper Washer Taps: These taps contain a washer and over time ‘wear and tear’, causing the tap to drip. When the dripping occurs, washers need to be replaced along with the o-rings and the spindles lubricated to make them turn and work like new. Mixer Taps: Mixer taps also known as kitchen taps are ones that you most often find in the kitchen. They have a single lever on them that control both hot and cold water flow. Instead of washers, these taps are slightly complex and comprise of parts that are all designed to work together. These taps can be repaired, however, we strongly advise due to purchase costs, they be replaced with a new mixer tap. Half turn and Quarter turn taps: These taps control water flow when rotated 90 degrees (quarter turn) or 180 degrees (half turn). They have a series of seals that wear and tear over time resulting in water leakage or dripping. Sensor taps. Sensor taps operate using motion to signal water flow. You tend to find these in Shopping centres, bars and restaurants however they are becoming popular in homes for hygiene reasons. Due to the electrical component that sits within these sensor taps, they are generally more complex and costly to repair. Crown Plumbing Specialists are experts and passionate about plumbing. 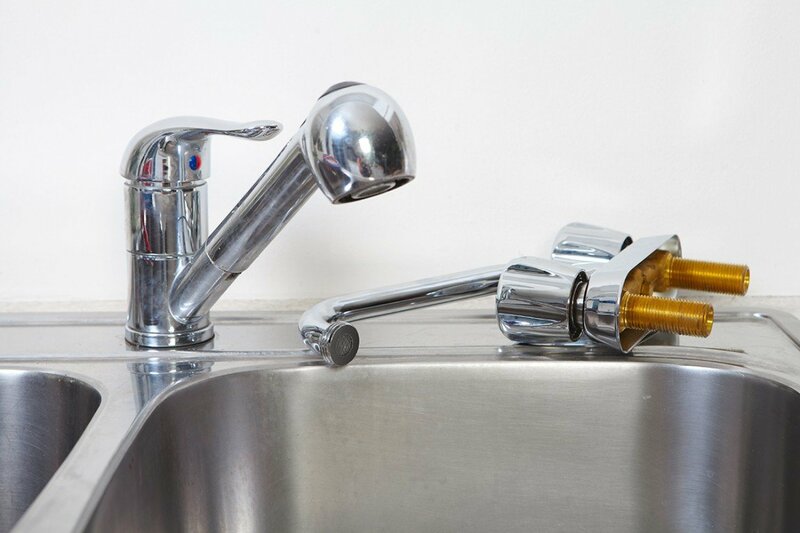 By contacting us, regardless of the tap or its condition, we will repair and/or replace your tap to the highest standard.